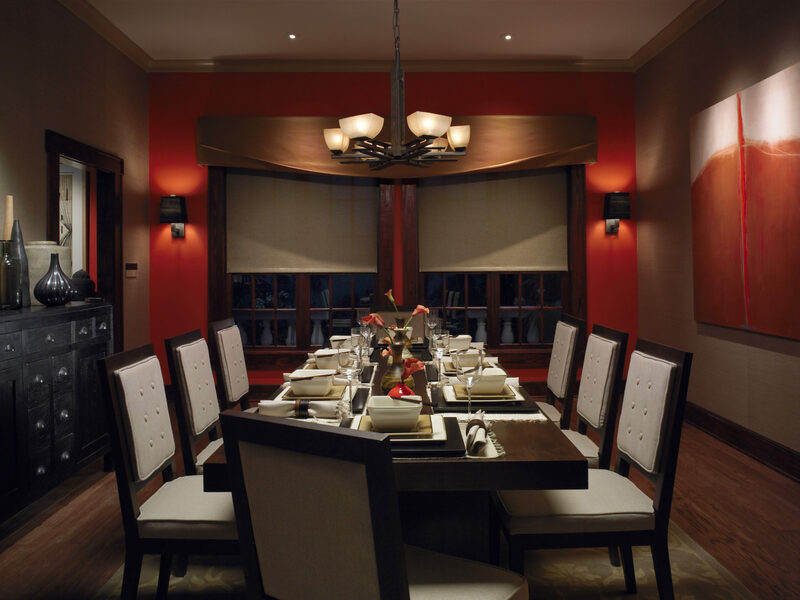 If you have ever tried to set the mood for a dinner party by adjusting the shades, dimming the lights or lighting candles, then you already know what kind of dramatic effect lighting can have. 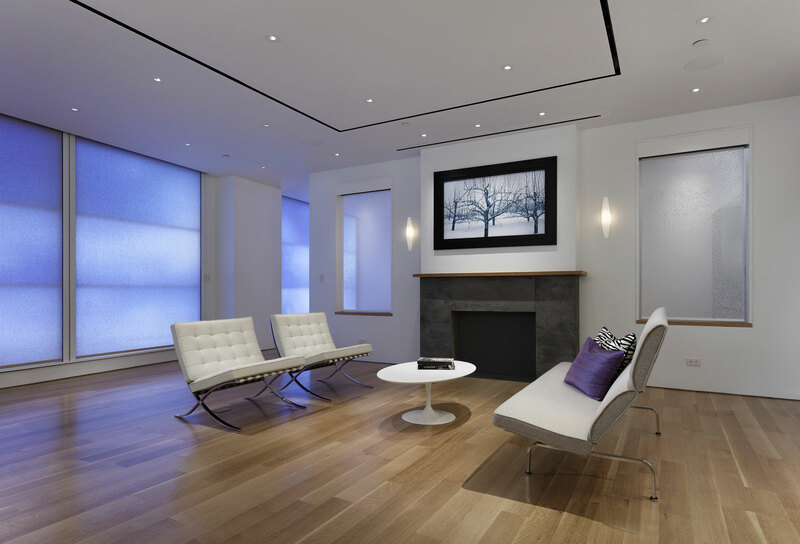 Creating that Ambient Environment can become an everyday experience with lighting control and motorized shades artfully designed by the Ambient Environments Team. Please be sure to visit the Shade Idea Gallery for some inspiration and because no two client’s needs are alike, we invite you to contact us to discuss your unique project. Interior designers and savvy homeowners have known for a long time that a well-lit room can create drama, create a desired ambiance, increase comfort and showcase your furnishings and elevate the design of a home. Dimmers, light color, power and the shape of light are just a few of the controllable factors in the lighting control toolbox. 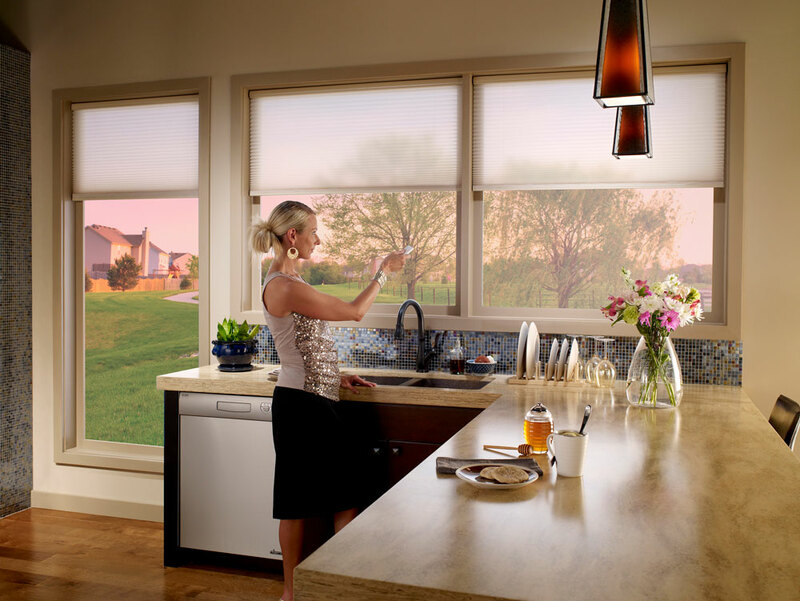 Motorized shades are not something that visitors might recognize when they see your home for the first time. That is because they can be designed to blend into the decor of your home and not bring attention to themselves. However, Lutron blinds and screens can become an important tool in saving energy, controlling glare or setting the mood in a home… all at the touch of a button. Patios are that gray area of a house that is a little indoors living and a little outdoors living. A well-appointed patio can become the focal point for pool parties, barbeques or parties. 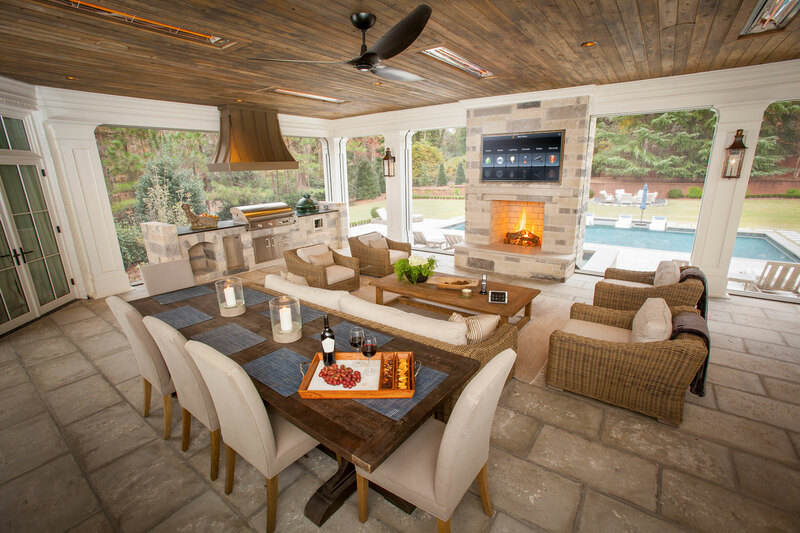 Adding motorized shades by Insolroll can help to create a comfortable environment from which to entertain. They can even extend the usable time of a patio making it usable well into football season. Just think about the possibilities! Sometimes seeing examples of what is possible when it comes to motorized shade solutions can get the created juices flowing to think about what you can install in your own home. Visit the Shade Idea Gallery to see before and after images demonstrating how motorized shades can transform your room for nice to spectacular.